The six pointed star of David also known as the shield of David is the perfect gift for that special someone or simply yourself. This brilliant gold and diamond pendant is sure to catch the eye. 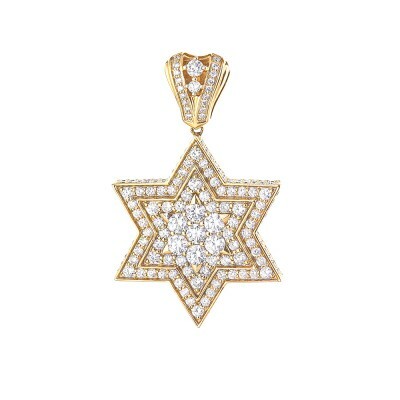 This Pendant weighs approximately 9.5 Grams in 14K Gold with your choice of Yellow,White, And rose gold color. 4.2Ct of magnificent VS2 Clarity diamonds are in a Prong/Micro Pave’ setting. This Pendant is a Unisex jewelry piece so its great for either man or woman.